The Courtbrack area in Co. Cork. MORE THAN 250 homes in Cork have been pushing both the government and service providers to bring basic internet, mobile and landline service to their area. 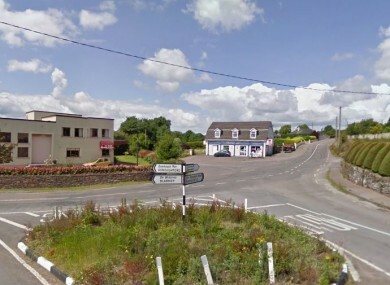 Residents in the areas of Courtbrack, Foxes Bridge and Mathey – which are located less than 24 kilometers away from Cork City and eight kilometers from the town of Blarney – have been pushing for local and national services to rectify the situation for the past two years, but to no avail. Since these homes are based in a valley which affects the signal in the area, it has meant that most of them have been without internet and mobile reception, and in some cases, without landline services. One of the residents campaigning, Ronnie Dorney, has said while not having these services didn’t affect them too much in the past, the growing reliance on the web when working at home, or to study for second and third-level education, has put the residents at a disadvantage. The situation has become so bad that the locals are in discussion with a number of private service providers about erecting a radio mast in the area. She mentioned “there are plenty of high spots [in the area]” for a mast to help improve the situation. Since then, the residents have received acknowledgement from Pat Rabbitte, from the Taoiseach and from Eircom about the problem, with the latter promising to visit the area next week to see if there’s a suitable site in the area for a radio mast. Another broadband provider, Airwaves, will also be visiting the area next week to inspect a number of areas the residents have marked down as suitable for a radio mast. Apart from the possibility of a radio mast being erected, the other solution is the ESB (Electronic Communications Network) Bill 2013. The bill, which is currently going through the Dáil and Seanad, would allow the ESB to offer its network infrastructure to deliver fiber services. While that will help out, Dorney says they will continue to push ahead with their current plans on the off-chance the ESB bill ends up not being available in their area. The locals have been supported by Fine Gael’s Cork North-Central Senator Colm Burke, who became involved six months ago. He described attempts to get answers and the response to his inquiries as “total and absolute frustration,” after been communicating with eircom and other mobile service providers during this period. Burke recently put forward a motion which will require any houses looking for planning permission to have access to adequate communication services first before they have been built. It’s expected this motion will be discussed at the Dáil on Thursday. Email “250 Cork homes campaign to get proper internet, mobile and landline services”. Feedback on “250 Cork homes campaign to get proper internet, mobile and landline services”.